Spielberg: Daniel Ricciardo hinted Thursday that Red Bull’s switch to Honda engines in 2019 might bring him closer to extending his contract with the Formula One team. With his contract expiring at the end of the year, the Australian driver has been at the centre of speculation for weeks, with Mercedes, Ferrari and McLaren reportedly showing interest in signing the seven-time Grand Prix winner. Red Bull have won just 10 races since the start of the 2014 season, when Ricciardo joined the team. 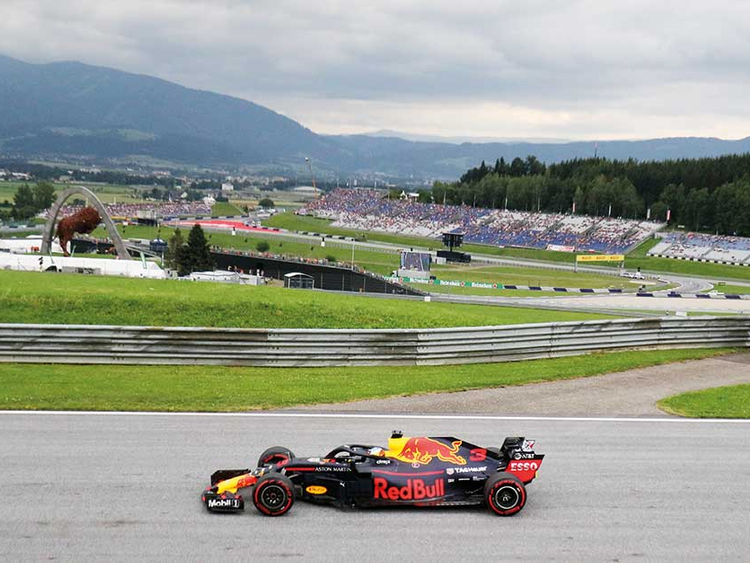 With its “home” race coming up this weekend on the energy-drink sponsored track and the driver celebrating his 29th birthday on race day, both the time and place would have been perfect for Red Bull to announce Ricciardo’s extended stay. But the Australian repeated he will take another “few weeks” to make his mind up. “In a way, it’s a good thing that they have made a decision. It gives me a bit more clarity of the direction the team’s going,” Ricciardo said, adding he planned to announce his decision before Formula One goes into its three-week summer break following the July 29 Hungarian GP. Hamilton picked up on Friday morning where he left off in France last Sunday by topping the times for Mercedes in both free practice sessions for this weekend’s Austrian Grand Prix. Five days after his triumph at Le Castellet, the defending world champion headed his teammate Finn Valtteri Bottas in a dominant showing by Mercedes. The 33-year-old Briton clocked a best lap in one minute and 4.579 seconds to outpace Bottas as the Mercedes men demonstrated the potential of their cars’ revised aerodynamic package. Mercedes have introduced updated side-pods, front and rear wings just a week after using a revised power unit for the first time in France. Max Verstappen saw third fastest in the first session and Vettel the best of the rest in the second session.